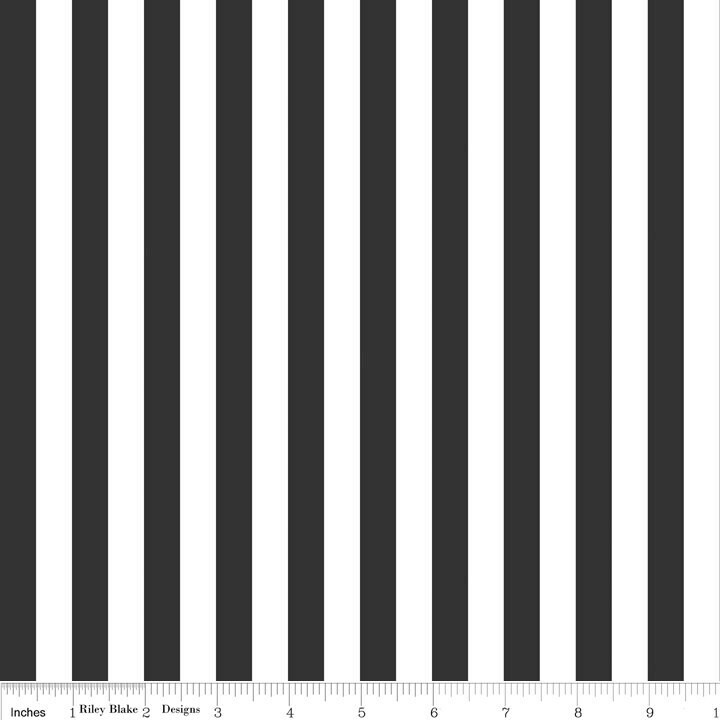 Riley Blake Designs Half Inch Stripe in Black. Pattern measures 1/2 inch stripe. Thank you! Exactly what I needed.